Angelina Marquez, or Neng as she is fondly called by her family & friends, is a former flight attendant. She is service oriented, who ensured the safety of her passengers and understanding their needs. She is confident, a go-getter and called witty and charming by her peers. Neng has a strong background in the sales industry, going from pharmaceutical sales to real estate. She is a woman who will absolutely do everything in her power to ensure he client's success in selling their home or working in the best interests of buyer clients. Additionally Neng works with investors and banks, and in both the residential and commercial markets. Other areas of Neng's expertise include strategic planning, financial structuring, transaction management and space utilization. She is a Certified Buyer's Representative (CBR) and also has experience in short sales and foreclosed properties. Neng also holds a Bachelor of Science in Chemical Engineering. 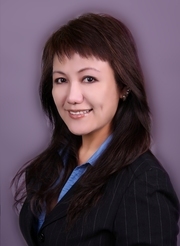 Overall, Neng incorporates all of her sales knowledge, experiences and success in the real estate industry.